I think it’s fair to say that my hands aren’t my best feature. They get dry, and I have the terrible habit of picking at my cuticles. It’s not cute. 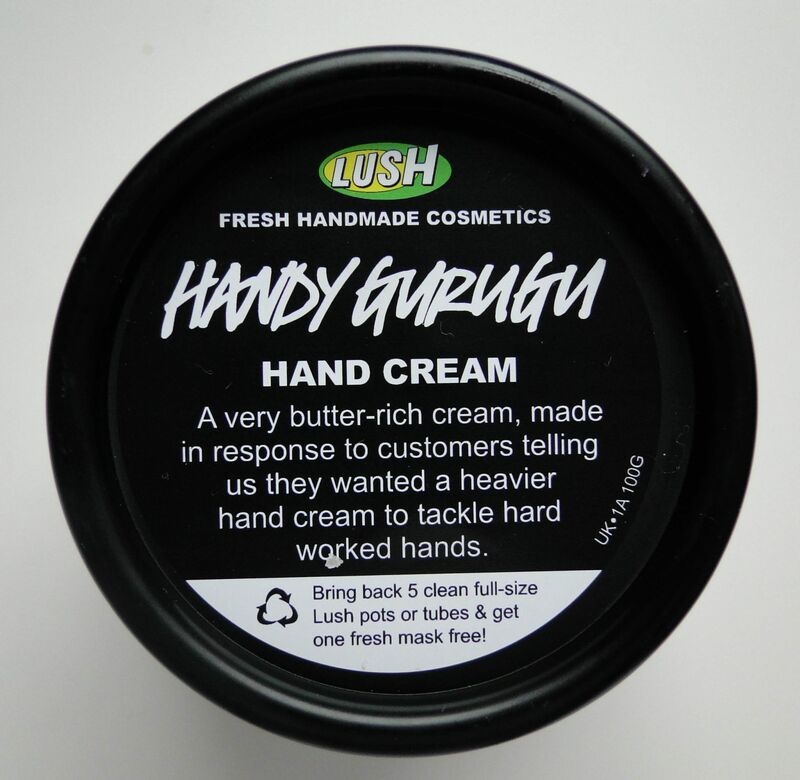 So in an attempt to have more ‘ladylike’ mitts, I’ve turned to Lush’s snazzily named Handy Gurugu Handcream. In the pot, the cream looks a little foreboding – it is green after all. It has a lovely whipped consistency and my hands just drink it right up! 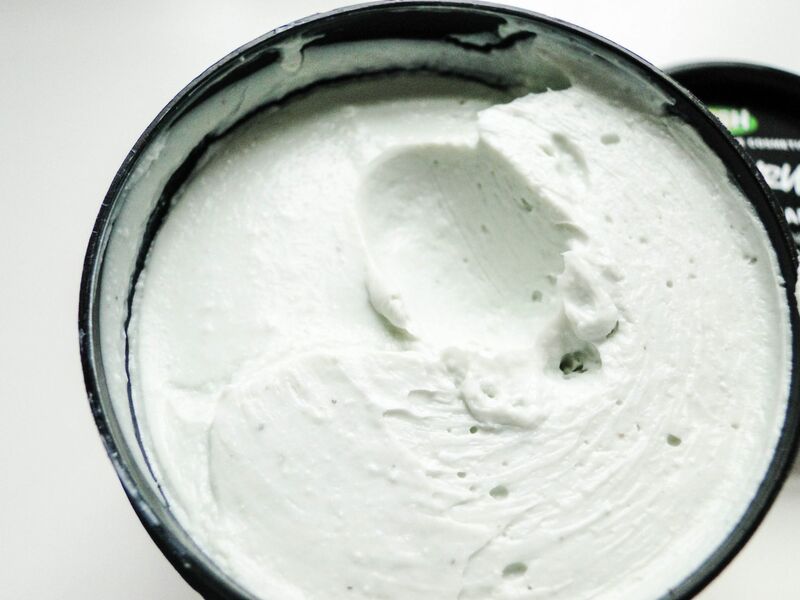 It’s one of the brands most luxurious mixtures, made up of shea, peanut, cashew and almond butters to create the most heavenly of concoctions. 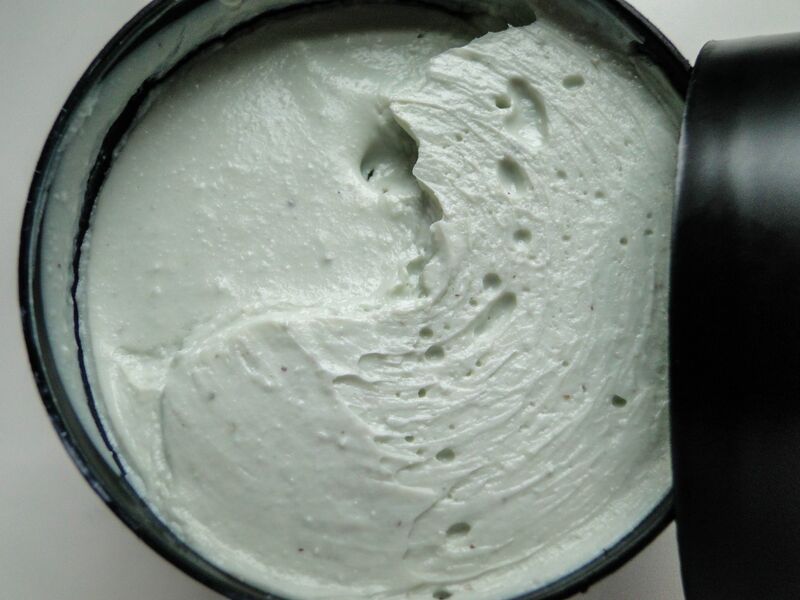 It isn’t just a whole lot of moisture – it’s infused with rose and rosewater to minimize redness, evening primrose calms skin and chamomile blue oil acts as an antiseptic. This means that as my hands are soothed, they also look a whole lot better, and the cream promotes healing. Genius is putting it mildly. Lush recommend using Handy Gurugu at night, and I’ve also been applying it liberally when I’m sitting at my computer. It only takes a couple of seconds for the cream to sink in, and the change I’ve seen has been amazing. I had a couple of scars on one hand from a run-in with a stray kitty and they have almost disappeared since I’ve been using this. My cuticles have basically cleared up! The hand cream costs £7.95 and is available here.